The major research goal for the laboratory of Lewis R. Roberts, M.B., Ch.B., Ph.D., is to understand the mechanisms by which liver and biliary cancers develop, grow and spread. Dr. Roberts' laboratory is particularly interested in identifying the critical pathways needed for the growth of individual cancers. The laboratory's second goal is to develop and validate methods for early detection, diagnosis and treatment of primary liver, biliary and pancreas cancers. In support of these goals, Dr. Roberts also coordinates the International Hepatobiliary Neoplasia Registry and Biorepository (IHNB). IHNB is a collaborative effort by many medical centers to collect clinical and risk factor information as well as blood and tissue samples to support research on liver and biliary cancers. 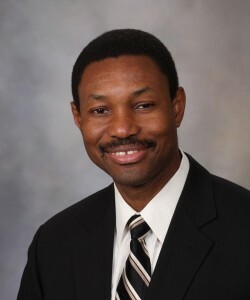 Dr. Roberts' work in health care disparities research includes community-based participatory research studies of viral hepatitis and liver cancer in immigrant African communities to prevent liver disease, identify individuals with chronic hepatitis who are at risk of liver cancer, provide linkage to care and improve the early detection of liver cancer.